I ran your install command and ended up with the agreement text you show above. However, selecting and hitting Enter did nothing at all. I’ve downloaded a heap of stuff and don’t know what to do with it or even how to get rid of it. What should I do now? John, read my old comment (july? last year, use “Older comments” above) how to work around. Should you ever have this problem installing from the terminal, hit the tab key first to highlight the or key, then hit Enter. Thanks John.St – I’ll try it a bit later when I’m at my Linux computer. the above steps working fine.but how long it takes to show the “yes no” dialog box ? i was waiting for 15 minutes after i got the “operator license aggrement” . . . . . . Thanks a lot.. This was very helpful article. Thanks for this help but I still have problems withs jre in firefox. 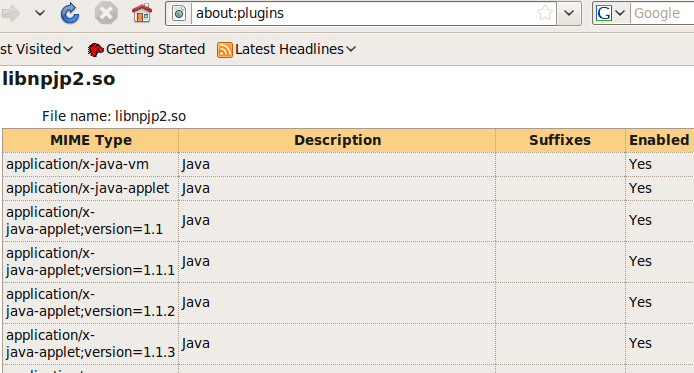 It seems I have to make a symbolic link to libjavaplugin_oji.in Mozilla Plugins directory. How to I do this? while installing the JRE in ubuntu 10.4? Sukanta, it means exactly what it says, you have an other instance of either Update Manager or Synaptic PM running (watch icons on top panel for orange star w/ arrow). A reboot solves the problem – or you can wait it out. Better still, read through this thread and find the solution with Synaptic Packet Manager – easier. i can’t hit the enter in licences . Why is installing java so difficult in ubuntu ? All I want to do with Java is access a chat room that was created in the mid 1990’s…. I don’t need some wild “flavor” of java or development tools. – as easy as falling down the stairs. I think you have to start with System -> Software Sources adding “archive.canonical.com/ubuntu hardy partner” and perhaps also “unsupported updates” in ‘Other software’ – I am not sure but it won’t harm to do so. Package sun-java6-fonts is not available, but is referred to by another package. I would like to know to update latest Java.